We will be closed July 4th! Stop by any time or make an appointment! King Massage is a brand new massage therapy studio with its grand opening in Woodbury Heights, NJ. 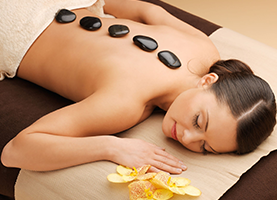 King Massage is the brand new massage therapy studio for clients in Woodbury Heights, NJ. With years of experience in multiple massage techniques, I can help you relax or recover from your ailments, aches, and pain. Whether you suffer from chronic pain or have a recent injury from working out too hard, I can help! I am a licensed massage therapist and an expert in diagnosing which service is right for you. Whether you are looking for a one-time massage or you want to schedule multiple appointments – I will work with whatever you need. "Stop by any time or make an appointment!" My vision is to bring a unique massage experience to customers with the grand opening of King Massage in Woodbury Heights, NJ. I have experience with an extensive range of techniques that cannot be matched by other massage therapists in the greater Philadelphia area. Come in and enjoy a wide variety of massages. With work experience in China, Pennsylvania, Delaware, and now New Jersey, I offer classic and current services including hot stone massages, acupressure, relax body massages, Swedish body massages, deep tissue body massages, chair massages, and foot massages. There is no need to cancel any plans or miss work to get one of my fantastic massages at King Massage. We are open seven days a week, and we are open late Monday through Saturday! Ensure that you are getting the best massage available by scheduling an appointment with me. Try any of our unique services to get back to feeling as good as new.